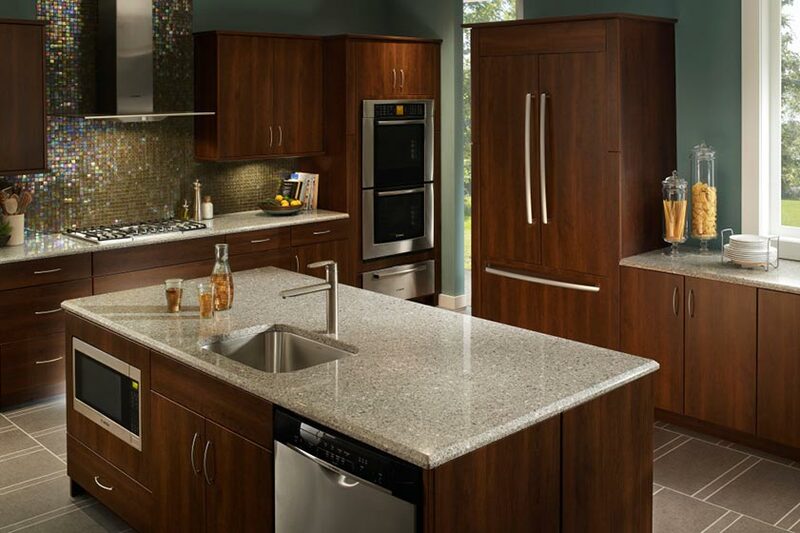 Beautifully prismatic quartz countertops that feature an elevated level of durability and resilience. 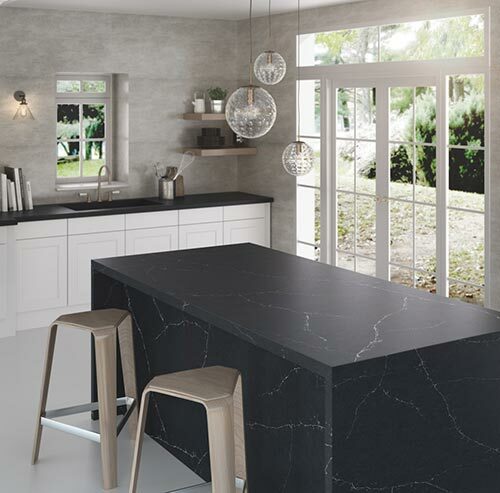 Silestone® combines natural quartz and extremely resilient raw materials into a visually stunning and incredibly durable kitchen surface. This combination of beauty and strength make it an ideal choice for your new kitchen’s countertop. Silestone® is superior to other natural stone surfaces like granite or marble, because it is non-porous and basically maintenance-free. Enjoy all the glamour and sophistication of natural stone, without every worry about sealing, food safety or damage! Introducing the ultimate in product innovation. Silestone® is the first and only countertop with Microban® anti-microbial protection built right into the material. It fights the growth of odor-causing bacteria, mold and mildew on the product surface. The result is peace of mind with countertops that are easier to clean, and surfaces that stay cleaner between cleanings. Of course, Microban® protection does not substitute for normal cleaning practices. Silestone never needs sealing, polishing or reconditioning. Other than an occasional wipe-down, you’ll have no maintenance to worry about. You can’t say the same for granite! Quartz is one of the hardest materials found in nature. 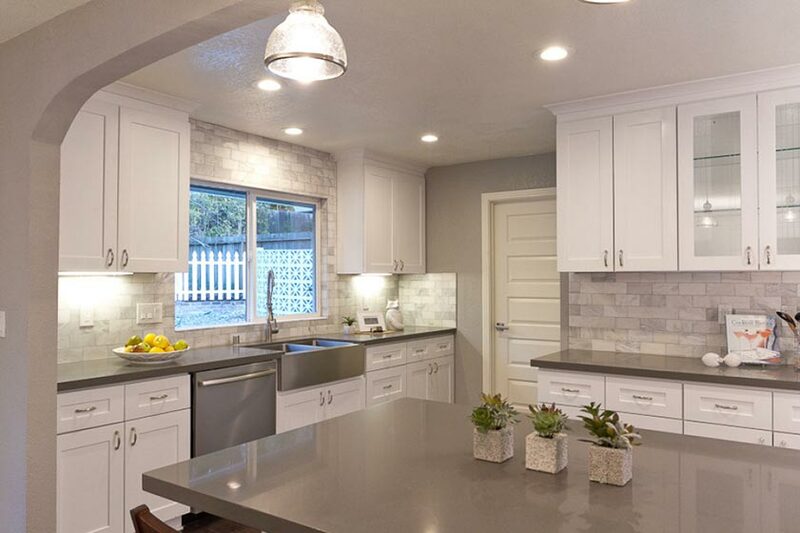 Silestone is composed of 90% quartz, making it much harder than granite, and an excellent option for any kitchen surface. 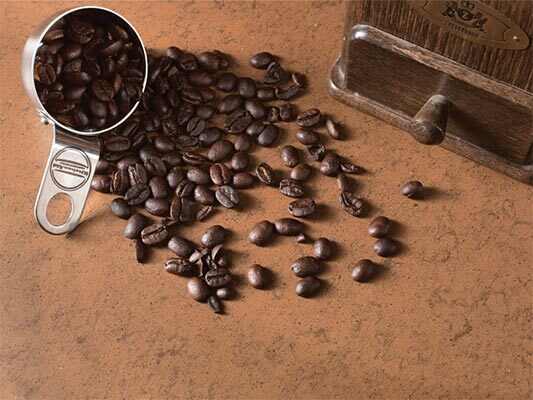 This surface resists stains, impact, scratches, heat—and just about anything you can throw at it. With Silestone, enjoy the peace of mind that comes with a virtually indestructible countertop. Granite and other natural stone surfaces have tiny pores that trap bacteria and germs. Silestone quartz is entirely non-porous and their Microban® Protection offers a superior level of food-safety. They stand behind their product with an impressive 25-year warranty. 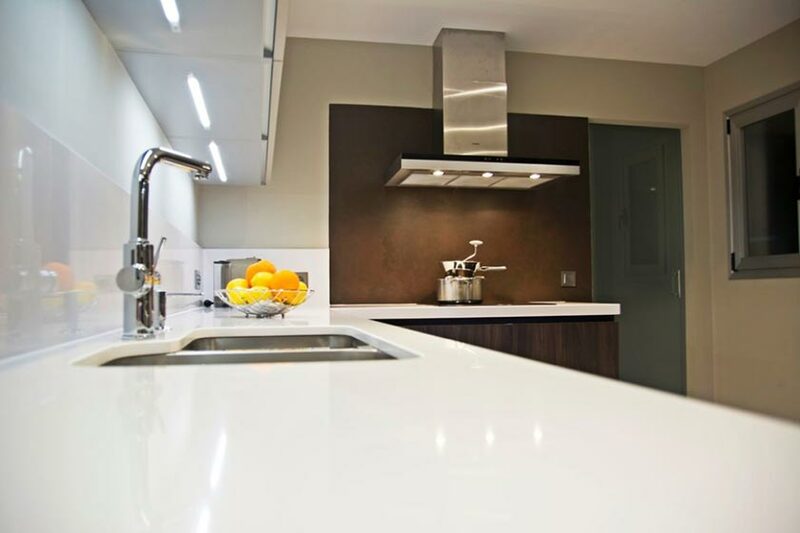 Silestone is so resistant to damage, it’s not likely you’ll need it. But if anything does happen—you’re covered! Silestone is made with the environment in mind. 98% of the water used during manufacturing is recycled. It's GREENGUARD Indoor Air Quality Certified® and qualifies for LEED projects. 3 different finishes to choose from: Polished, Suede, and Volcano. Their exclusive textures and designs create a unique sensory experience.